George Williams trying to explain himself. Jake McGoldrick the man who run his mouth and from which spews diatribe most of it illogical is the dominant force behind the Better Neighborhood Plus Ordinance that is a joke. Jake should change his first name to Joke and stay away from any legislation that affects the constituents of San Francisco. This ordinance has changed so drastically and all the changes or amendments are brought to the meeting at the last moment. The constituents of San Francisco are considered dumb by Joke McGoldrick and his cronies mostly White men all with a hidden agenda. The Better Neighborhood Plus ordinance has come before the San Francisco Planning Commission and the Planning Commission decided NOT to adopt the proposed Better Neighborhood Plus ordinance. This proposed ordinance should be flushed down the commode. Joke McGoldrick thinks that in some quarters his gimmicks are working. Well, one has just to follow his diatribe and anyone comes to a quick conclusion. He does say much but nothing substantial. He is a fool and should work within his district. All the main true City organizations that are for the people and for the common good of San Francisco do not want to have anything much to do with this proposed ordinance. Initially Ross Mirkarimi chose to lend his name but he too has chosen to remove his name from this faulty ordinance. The only two buffoons that have lent their name to this stupid ordinance are Sophina Maxwell and or course Joke McGoldrick. 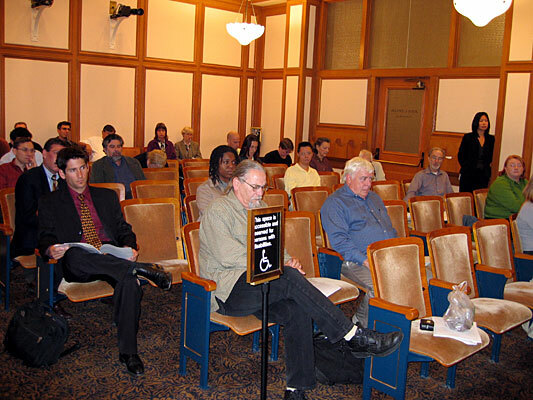 At the Land Use Committee Meeting on November 16, 2005 after listening to the constituents of San Francisco and regardless of the fact that the majority did not see any good with this faulty ordinance the Land Use Committee chose to send this stupid proposed ordinance before the full Board of Supervisors. Once again we will hear Joke McGoldrick making a fool of himself in Room 250 at City Hall. This time around we have the amended language and can ponder and reflect over the faulty language. The Bayview Hunters Point Coordinating led the charge when it first heard about this nonsense. We have already seen the first clone of this proposed ordinance. The Visitation Valley Fee and Facility Ordinance has extracted over $11 million from the developers to be spent in Visitation Valley. The developers are building at Executive Park in an entirely different jurisdiction. The railroad once divided the community and was incorporated by on going history as a boundary or demarcation line. Sophina Maxwell ignorant as she is chose NOT to read the SouthBayshore Plan. Chose not to consult the Planning Department. But used language from the proposed Better Neighborhood Plus Ordinance to clone the Visitation Valley Fee and Facility Ordinance and hold the developers hostage and extracted $11 million to rehab and build facilities that the City and County of San Francisco has neglected to have in place. The City and County has a $5 billion budget. Over 85% of the contracts within the City and County of San Francisco are given to outsiders. Our City Treasure has failed to invest our City taxes wisely and our City's fiscal state of affairs is pathetic. The proposed Better Neighborhood Plus Ordinance should be shelved. 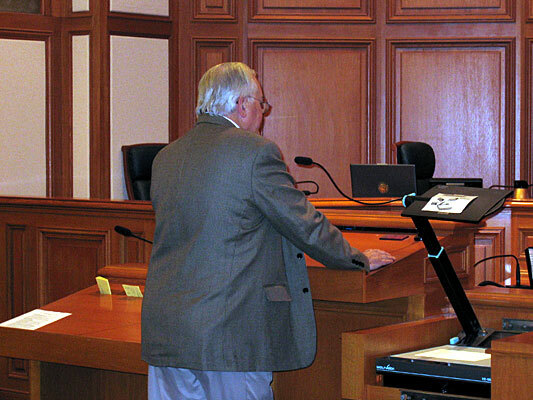 The mostly White men behind this proposed faulty ordinance investigated. In a worse case scenario this matter should be taken to court and the death knell rang. The stupid ordinance has no place anywhere in San Francisco. Please do not ever bring this nonsense ordinance to be applied in the Eastern Neigbhorhoods. The audience in Room 263.